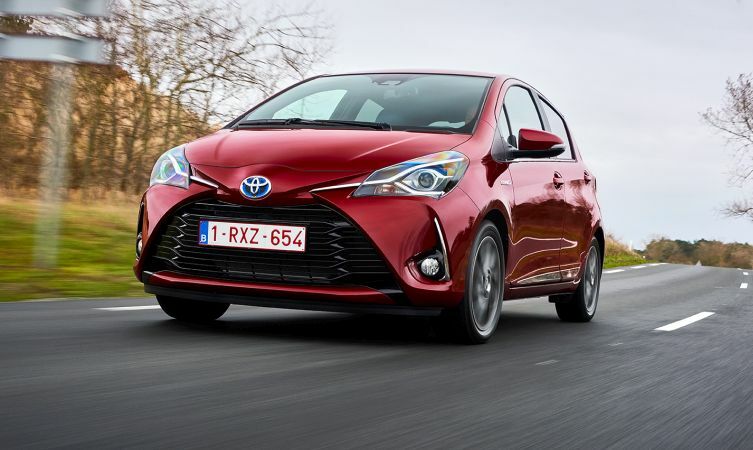 The Toyota Yaris had a tough act to follow as successor to the highly regarded Starlet supermini, so the new model was resolutely modern in appearance and its application of the latest technologies. 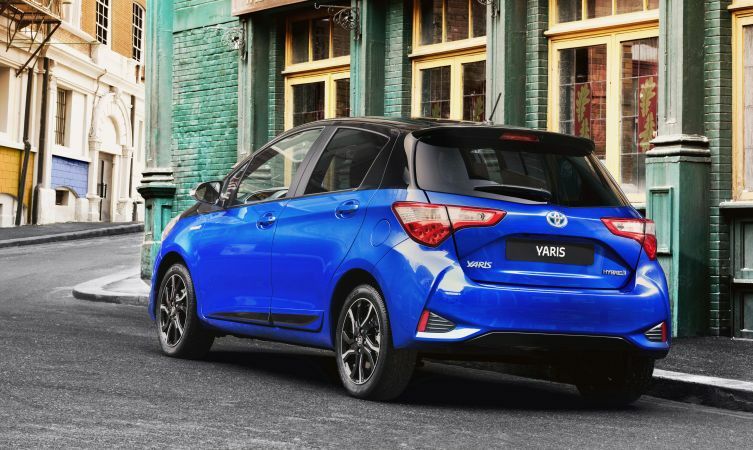 Developed for a global audience, the platform and major components of Yaris were all-new and capitalised on the prevailing trends for downsizing and cost-cutting while simultaneously improving quality, environmental performance and vehicle longevity. 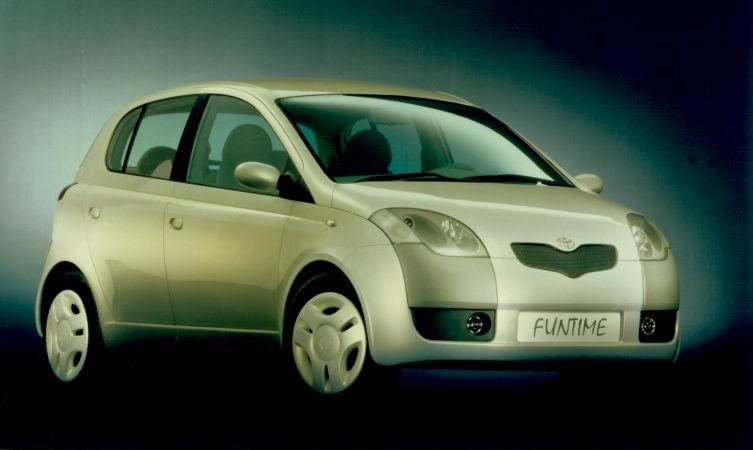 Taking its design language directly from the Toyota Funtime concept (above) first displayed at the 1997 Frankfurt Motor Show, the production car made its show debut at the 1998 Paris Motor Show. After being released to the Asian market as the Toyota Vitz in January 1999, the rest of the world received the car in a series of staggered launches. It arrived as the Toyota Yaris in Europe in April 1999, the Toyota Echo in Australasia in October 1999, and finally in North America in late 2003. The European-specification Toyota Yaris was only ever available in either three- or five-door hatchback body styles, though the adaptable platform also spawned coupe and saloon derivatives for other markets. Designed at Toyota’s ED2 studio in France, Yaris was stylish, characterful and purposely European in flavour, with a relatively tall, spacious and organically shaped body built around the central design concept of the human dimension. This meant a radical rethink of the interior layout, including the central positioning of a digital instrument cluster to reduce the time and effort taken to refocus the driver’s eyes from the road. Safety measures were also excellent and its environmental performance was among the best in its class. All launch models were supplied with a new 1SZ-FE 998cc 16v four-cylinder petrol engine with variable valve timing that produced 67bhp and 50+mpg fuel consumption. Nicknamed the ‘Mighty Atom’ for its ability to deliver power equivalent to a traditional 1.4-litre engine, the unit (below) was voted the world’s best in the inaugural International Engine of the Year Award. Demand for the new Toyota Yaris outstripped supply and the shortfall in production increased with the announcement in October 1999 of a second engine option – a 2NZ-FE 1.3-litre VVT-i unit with 85bhp, primarily for high-spec five-door models. The boost in performance offered by this new engine opened the opportunity to provide a fast-reacting, four-speed automatic gearbox as an alternative to the standard five-speed manual transmission. It was also instrumental in relaunching the sporty but insurance-friendly three-door ‘SR’ grade. Success was not only sales related. In 2000, Yaris became only the second Japanese vehicle to ever win the European Car of the Year title, and that year it won the double honour of being crowned Japanese Car of the Year as well. Yaris was also critically acclaimed for its security and first-rate level of customer satisfaction. Even before its launch, Toyota had anticipated the popularity of its new supermini and in October 1998 had begun building a new high-tech manufacturing facility in Valenciennes, France, to supplement production from the Takaoka Plant in Japan. 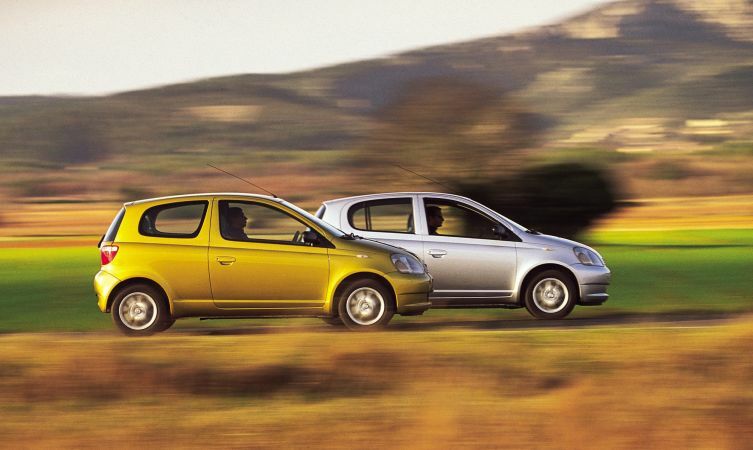 The French plant went live on 31 January 2001 and was given an initial production target of 150,000 units per year. That later rose to 180,000 units in 2003 and 210,000 units in 2004. Such was the breadth of its talents that Toyota chose Yaris as the launch pad for a new T Sport brand. Pitched carefully between the warm SR model and an out-and-out hot hatch, the three-door Yaris T Sport benefited from a 105bhp 1.5-litre capacity 1NZ-FE engine (a stroked version of the 1.3-litre NZ-series). It had a performance-tuned chassis, strengthened bodyshell and sporty interior. Launched in the UK in April 2001, it was immediately a class-leader, being quicker to 60mph than many 1.6-litre hot hatches and, perhaps more importantly, faster in the 40-60mph mid-range than any comparable car in its class. A 1.4-litre all-alloy D-4D common rail diesel engine (above) filled out the line-up in March 2002, its 74bhp output delivering good pace and a range of over 650 miles thanks to its official 67.3mpg combined fuel consumption. By this point in the lifecycle of the first-generation Yaris, more than 1.1 million units had been sold worldwide, over 74,000 of which were in the UK. A subtle facelift was applied in the UK in May 2003, identified primarily by the more logical ‘T’ grading system for trim levels and a new teardrop detail in the headlights that extended into the bumper. Under the skin, however, 1.3-litre models benefited from an all-new and more powerful 2SZ-FE petrol engine that was a development of the acclaimed 1.0-litre unit. ABS and Electronic Brakeforce Distribution became standard across the board, and a new Multi-mode Manual Transmission option was made available on 1.0-litre models. Essentially a clutchless manual gearbox, MMT (see schematic below) could be selected to run in either automatic or manual modes, and was so clever that left to its own devices was more fuel efficient than the regular manual model. Unlike many of its competitors, the Toyota Yaris consistently set higher sales figures during every year of its production, to the point where it accounted for one quarter of the brand’s sales in Europe. By the time of the arrival of its successor, the first-generation car had sold over 1.2 million units in Europe. Toyota had another tough act to follow for the second-generation car. In order to achieve this, chief engineer Kousuke Shibahara focused on three key elements. First, developing a product that remained faithful to the Yaris DNA of advanced packaging and technology, interior space and versatility, comfort, safety and performance. Second, by raising the level of sophistication and refinement. And thirdly, by enhancing the overall feel of the vehicle, from driving dynamics and overall quality to more specific details such as the sound of each door closing. 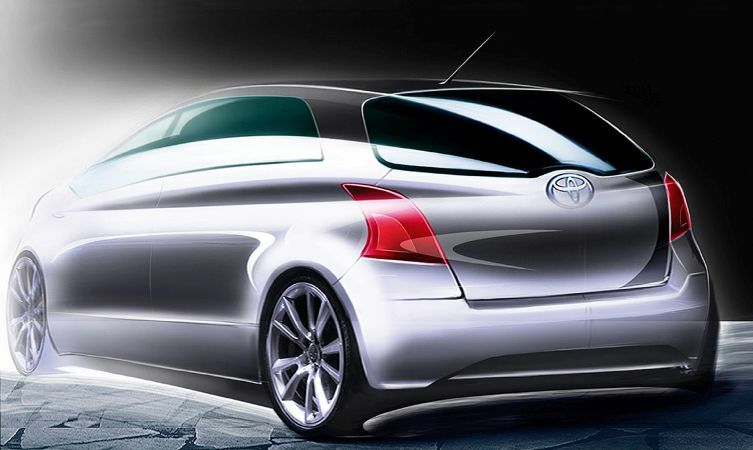 Once again designed by Toyota’s ED2 facility in France, the new car launched in the UK in January 2006 and sat on a new platform that was bigger in all dimensions. Most of this extra space was reserved for the interior, which was now on a par with cars in the class above and featured numerous storage options. There was a total of 18.2 litres of storage capacity in the dashboard alone, including a handy glovebox for the driver made possible because of the centralised instrument cluster. Modular rear seats were again included, and each 60:40 section could slide forwards and backwards by up to 150mm to give rear passengers up to 880mm legroom, or increase boot size from 272 to 363 litres. If more luggage space was required then a new Toyota Easy Flat rear seat folding system created class-leading capacity. It did this by using the available space more rationally, using a cantilever mechanism to sink the rear seat squabs deep into the footwell to create a flat loading area. Despite short overhangs and cab-forward architecture, collision performance was improved by up to 30 per cent through the adoption of Toyota’s advanced new Minimal Intrusion Cabin System. Up to nine air bags were dotted around the cabin – including the segment’s first driver’s knee air bag – so it came as no surprise that new Yaris received the highest five-star rating for occupant protection in Euro NCAP crash testing. Three- and five-door body styles were produced and there was a choice of three engines. The entry-level powerplant was a 1.0-litre three-cylinder VVT-i petrol engine shared with the Aygo, which produced 68bhp, up to 52.3mpg, and low emissions. Most popular choice among buyers, however, was the 1.3-litre unit carried over from the previous generation, while the 1.4-litre 1ND-TV diesel engine was also reused but with a specification uprated to 90bhp in common with the contemporary Corolla model. By December 2006 the millionth Yaris had rolled off the production line in France and production was raised once again to 270,000 units per year. But there remained one noticeable omission from the second-generation line-up – a sporting derivative. Indications of a more athletic version had been revealed at the Geneva Motor Show back in February 2006, followed by the revealing of the production model at the Paris Motor Show in September of the same year. Launched in February 2007, the three- or five-door SR 1.8 was the first Toyota to be powered by a new 1.8-litre Dual VVT-i engine, equipped with intelligent valve timing on both intake and exhaust cycles for smoother performance and greater efficiency. Maximum output was 131bhp at 6,000rpm, which dispatched the dash to 62mph in 9.3 seconds and offered combined cycle fuel economy of 39.2mpg. As well as becoming the new range-topper, the SR 1.8 introduced a pair of less powerful but still sporty-looking SR-badged models using the 1.3-litre petrol (above) and 1.4-litre diesel engines. February 2009 saw the application of a refresh for the second-generation Yaris, visualised by a gentle reworking of the headlights (see above) and the introduction of a new 1.3-litre Dual VVT-i engine with stop/start technology and a six-speed gearbox. Toyota Optimal Drive technology was applied throughout the range at this time, which ensured that no model produced more than 120g/km of CO2 but also signalled the early demise of the SR 1.8. The range structure was therefore reworked so that the popular TR grade became an official trim level instead of a special edition based on the outgoing T3. Soon afterward, TR models like the one below comprised 80 per cent of all new Yaris sales in the UK. Through downsizing and emissions-linked taxation, the supermini B-segment had evolved to become the most important sector in Europe. Over the past decade Yaris had consistently achieved five per cent of this fiercely fought segment and the new third-generation model was tasked with continuing, or improving, on that success. Even before the arrival of the third-generation Yaris in Europe, Toyota had strongly hinted through the unveiling of its stylish Yaris HSD concept (above) at the 2011 Geneva Motor Show that a unique selling point of the new model would be the inclusion of full hybrid technology. Later revelations included the fact that around 95 per cent of all vehicles would be equipped with Toyota’s affordable Touch & Go multimedia system. Three years in the making, the third-generation car launched in the UK in August 2011 and was instantly recognisable as a Yaris, albeit one that had just returned from Saville Row in a sharp new suit. Still one of the most compact cars in its class, the overall length had nevertheless increased by 100mm, while a longer wheelbase, shorter overhangs and a lower roof emphasised the car’s improved chassis dynamics. Drag coefficiency was lowered to a class-leading Cd 0.287 and weight was down by 20kg. New Yaris also scored a hat-trick for safety by securing its third successive five-star performance in crash safety. Although cabin length remained identical to the outgoing car, clever development of components meant that interior space was actually improved by two per cent. Rear knee-space and loadspace dimensions were now class-leading, a feeling reinforced by the availability of a new, all-glass panoramic roof. Perhaps most impressive was the fact that the car was developed from the outset with a hybrid model in mind and that this forthcoming model would somehow package these extra components without sacrificing anything in terms of interior space. New Yaris continued the successful mixture of three- and five-door bodyshells and powertrains – 1.0-litre triple and 1.3-litre four-cylinder petrol engines, and 1.4-litre turbodiesel. Continuing application of Toyota Optimal Drive technologies had improved fuel consumption and CO2 emissions without diminishing power and torque levels. Toyota’s production facility in France achieved the production milestone of two million units in October 2011. If you lined up these cars nose-to-tail, the queue would stretch from London to beyond Kathmandu – a distance of more than 4,600 miles! Put another way, there were now more Yaris models on the road in Europe than any other car in Toyota’s history. The new Yaris Hybrid arrived in July 2012 and had the privilege of being the most technically advanced derivative in the model’s history. It adopted the same well-proven HSD technology as the Prius but with components specially lightened and downsized to suit this smaller application. The 99bhp hybrid powertrain was led by a 1.5-litre Atkinson cycle engine that, with electric assistance, allowed the Yaris to become the most CO2 efficient combustion engine vehicle on the market. It produced just 79g/km and delivered 80.7mpg yet had the lowest price tag of any hybrid on sale in the UK. The arrival of Yaris Hybrid shifted sales of the supermini into overdrive, so to speak. The proportion of hybrid models compared to traditional powertrains increased substantially and exceeded Toyota’s own forecasts. From just over 10 per cent in its launch year, the proportion has almost doubled yearly so that currently nearly half of all Yaris sales are hybrid models. Yaris was now a top ten best-seller in the UK and had taken a best-ever 6.9 per cent share of the supermini market. Such was the importance of hybrid within the Yaris line-up that the mid-life refresh launched in the latter half of 2014 applied the Hybrid’s more assertive lower grille treatment and the new Aygo’s ‘X’ motif to the rest of the range. It was part of a makeover that made significant improvements to the materials and tactile qualities of the interior as well as important modifications under the skin that improved the suspension, handling, ride comfort and NVH levels. Since the launch of the third-generation model, Yaris has bucked market trends and continued to increase its market share. Figures for 2016 showed it had captured 6.5% of the B-segment in Western Europe and found over 208,000 new owners. Petrol-electric hybrid power remains a unique selling point for the model, a powertrain option that currently accounts for more than 40% of all European sales. Due to this increasing popularity, Toyota introduced another Yaris revision in 2017. It was the culmination of a £76 million programme that saw the development of more than 900 new parts to improve the car’s design, dynamic performance and safety. Visually, the new 2017 Yaris is identified by its catamaran-style front and rear ends, a styling cue which projects the sense of a low centre of gravity and a wide on-road stance. Toyota Safety Sense technologies were now applied across the range, while the introduction of a new larger and more powerful – yet conversely cleaner and more efficient – 1.5-litre VVTi-E petrol engine replaced the outgoing 1.33-litre unit. The entry level 1.0-litre three-cylinder engine remained yet the diesel option was now discontinued. That is where the Toyota Yaris stands today, as a supermini with broad appeal within an increasingly diverse customer base. The line-up offers more choice, more equipment options and more advanced features than it ever has before. That appeal is widening even further with Toyota’s announcement that a rally-spec Yaris would participate in the 2017 World Rally Championship. Building on this, the road-going Yaris is set to get a high-performance GRMN edition – enticing a whole new audience to one of Toyota’s best known models. "Hi Stefan, The reason for this is that the panoramic roof adds ad..."
"Hi Jason, Apologies, we replied to your previous message without..."
on How does Toyota Hybrid Synergy Drive work? "Hi Jason, Thanks for your feedback! We wish you many more happy m..."
"Hi Billy! Thanks for getting in touch. This event takes place an..."